Find out more about the Lorex 3 Megapixel HD IP Camera Featuring Long Range Night Vision. Includes pricing, features, and FAQs. 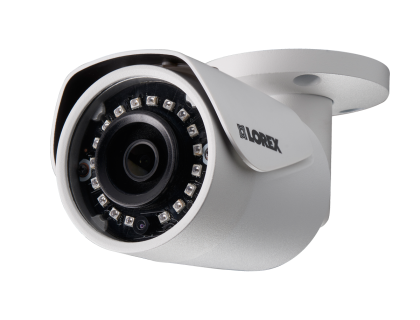 The Lorex 3 Megapixel HD IP Camera Featuring Long Range Night Vision is a versatile indoor/outdoor security camera from Lorex. The camera has night vision capabilities and a high-definition 3MP resolution. 75° FOV for monitoring wide, open areas. Indoor/outdoor HD IP security camera. Pros: High-quality image due to 3 MP camera resolution. Night vision with a max range of 130 ft.
Cons: More expensive than similar Lorex models. Bottomline: The Lorex 3 Megapixel HD IP Camera is a high-quality, reliable camera for a wide variety of surveillance situations. What are some alternatives to the Lorex 3 Megapixel HD IP Camera Featuring Long Range Night Vision? Where can I buy the Lorex 3 Megapixel HD IP Camera Featuring Long Range Night Vision security camera system? The Lorex 3 Megapixel HD IP Camera is available on Amazon and on the Lorex website. How well does the Lorex 3 Megapixel HD IP Camera Featuring Long Range Night Vision function in the dark? The camera is equipped with night vision that can see up to 130 ft. in ambient lighting and up to 90 ft. in total darkness. Can the Lorex 3 Megapixel HD IP Camera Featuring Long Range Night Vision be used in any weather? The Lorex 3 Megapixel HD IP Camera is rated IP66, meaning that it is safe for outdoor use in snow, rain, wind, and extreme temperatures.